How does a polite cat get back into his house? He rings the doorbell! No, this isn't even a joke – Bruno the house cat is so well-behaved he knows just how to get his owner to come to the door. 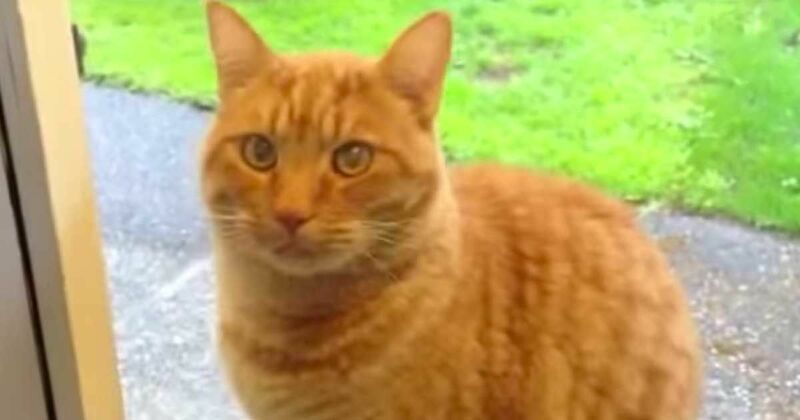 In the viral video below, the ball of ginger fur finds a perch near the front door and nudges the doorbell repeatedly with his head. An impressive action which the cat clearly seems to know will eventually allow him access inside. This remarkable show of intelligence isn't surprising, according to experts: Animal Planet reports cats have excellent mental capacity and are capable of committing specific events to memory for years at a time, particularly if those events were linked in some way to the animal feeling unsafe or unhappy. Conversely, they can also memorize things they have done in the past that have led to an increase in comfort, such as meowing for food, or – in Bruno's case – ringing the doorbell to be allowed back inside. Not only that is Bruno a clever pet, he's also a considerate one. Patrick Dougherty, who uploaded the video, explains in the description that Bruno only rings the doorbell during the daytime, when he knows it won't wake his family. How nice is that? Watch the impressive video below, then SHARE it with your friends and family – and let us know in the comments what sort of things your cat has learned to do!